One of the easiest ways to improve your smile cosmetically is through teeth whitening. Whitening teeth is a quick, non-invasive method to improve your overall appearance and bring confidence to your daily interactions with people. Before beginning the procedure of teeth whitening, Destination Dentistry recommends each patient meet with their dentist for a consultation visit. While visiting with your dentist, you can also discuss other aspects of your smile you would like to improve. New, cutting-edge technology provides methods to correct any dental trouble you may have. During your consultation, decide just how white you want your teeth to be. Depending on the whitening technique chosen, your teeth can be whitened three to eight shades in just an hour. An in-office procedure produces a degree of lightening that cannot be achieved with a grocery store product. During your treatment, your dentist may apply a coating to protect your gums and roots while the bleaching agent is applied. A laser is then used to make the bleach work faster. An alternative technique is to have your dentist prescribe a take-home kit. These kits are customized for each patient. First a mold is made of your teeth. Using the mold, the lab team creates trays to hold the bleach. While this method may take longer, it is more reasonably-priced and more convenient for many Custer patients. 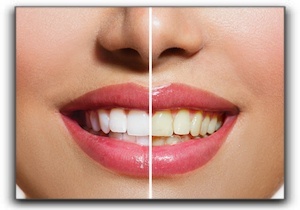 Teeth whitening results from either method can last from six months to two years. Dr. Dr. Diana Latinow, of Destination Dentistry, has been creating attractive smiles since 1978. Call our Custer office and schedule an appointment today at 605-673-2011. Destination Dentistry offers general, restorative, and cosmetic dental services including sedation dentistry, tooth-colored fillings, cosmetic dentistry, and TMJ/TMD treatment. At Destination Dentistry, quality care and a comfortable patient experience are our top priorities.